RECENTLY WE POINTED out some choice places to visit in Ireland, and lots of you had suggestions of your own so we thought we’d expand the list. Yes, the weather is grim at the moment, but it won’t always be like this. We hope. What better way to lift your spirits than planning a road trip to somewhere beautiful? Here are 11 more amazing places to visit in Ireland. These glaciated Waterford Mountains are so lovely that they have a song written about them, ‘A Chomaraigh Aoibhinn O’. The song describes bright streams, lush woodlands, honeyed glens and clear grasslands and basically makes them sound like Heaven on Earth. Popular with hill walkers and hikers alike, you can find more details about trails etc. here. Lesser known than Glendalough, Lough Tay is a small lake set in the Wicklow Mountains along the Wicklow Way. 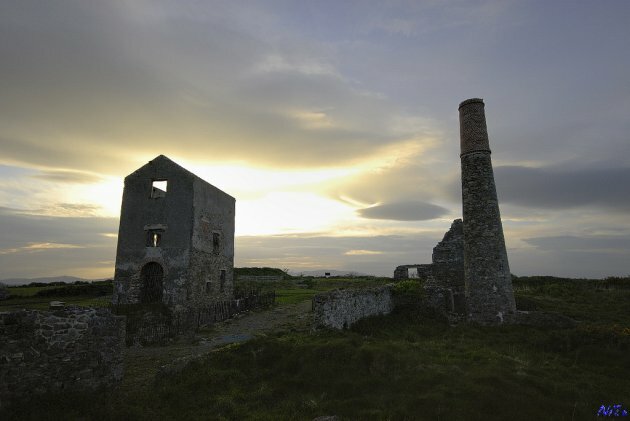 Part of its coastline runs along what was once an estate belonging to the Guinness family and is lined with white sand. Some say the dark water and bright sand look similar to a pint of the black stuff. If you fancy feeling like you’ve gone back in time the Aran Islands are for you. With quiet but beautiful landscape, the people of these three isles are generally gaeilgoirs but welcoming to those of us who can barely manage a cúpla focal too. If you visit Inisheer, be sure to walk out to the Plassey, a ship which was wrecked in March 1960 and has been there ever since (you may recognise it from the opening credits of Father Ted when you see it). This Mayo mountain is oftened referred to as Patrick’s sacred Mountain which means it’s perfect for a St. Patrick’s Day excursion. It’s only five miles from Westport, so there’s somewhere beautiful to stay if you’ve made a long drive too. The Croagh Patrick climb offers incredible views of Clew Bay and the Mayo countryside, so although many make the ascent for spiritual reasons, beauty is a perfectly reasonable motivation too. You'll find the Copper Coast Geopark between Tramore and Dungarvan in Waterford. What's a geopark, we hear you ask? Well, it's a "teritory with a geological heritage of European significance". What does that mean? It's got loads of sedimentary and volcanic rock, that's what. Full of lovely walks with secluded coves and beaches, this place is worth a wander. The ruins of this medieval castle lie on the edge of County Antrim and are accessed via a bridge which connects it to the mainland. The steep drops on either side of the castle are thought to have been a key factor in defending the fort against enemies in the sixteenth century. If you're a Led Zeppelin fan you may already know that an image of the Castle appeared on the album sleeve of Houses of the Holy, it also featured in the 1993 Jackie Chan film, The Medallion. Rather than being made up of sand, this beach is comprised of teeny tiny little shells, and is ripe for swimming thanks to its Blue Flag status. It may still be a bit cold for swimming, but a drive through Connemara is never a chore and this section of the sea is beautiful to look at too. The Beara penninsula is home to some of the wildest and most beautiful coastline Ireland has to offer. Follow the 'Ring of Beara' for 195km and stop off for some crab in Castletownbere along the way. Gougane Barra is home to 1.42 square kilometres of forest park and is home to many mammal and bird species. Should you wish to feel away, this is the place, it's remoteness has been appealing to people for centuries. With some of the highest sea cliffs in Ireland, Slieve League is perched on the coast of Donegal. From it you can see Leitrim, Sligo and Mayo as well as the Atlantic as far as the eye can see. We reckon it's worth a visit just for the puffins, but if they're not enough for you, you might want to visit because it's a World Heritage Site. Home to two lighthouses which you can visit, as well as a visitors centre and occasional dolphin and shark sightings, there's something for everyone here. Email “11 more amazing places to visit... if we could put a roof on Ireland”. Feedback on “11 more amazing places to visit... if we could put a roof on Ireland”.